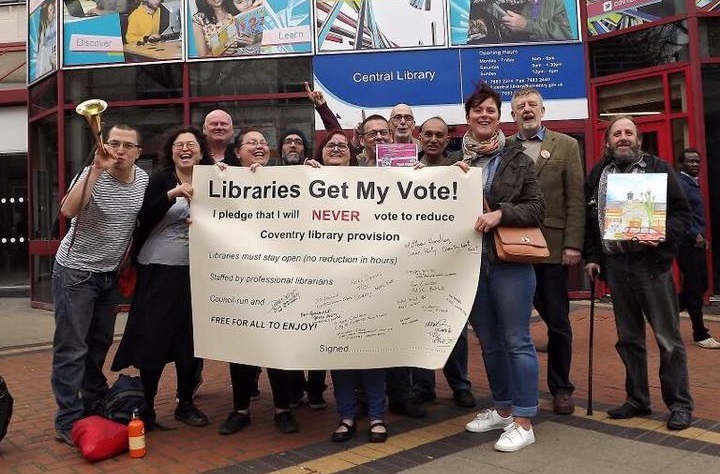 Trade Unionist and Socialist Coalition (TUSC) candidates attended an event organised by the Save Coventry Libraries campaign and pledged to vote against any reduction in library provision. Every local and general election candidate in the city was invited – but not a single candidate from Labour, the Lib Dems, the Tories or UKIP even turned up. Do you want to support TUSC candidates? Fill in the form below and get involved! Coventry – Why are our politicians failing us?